Hello! 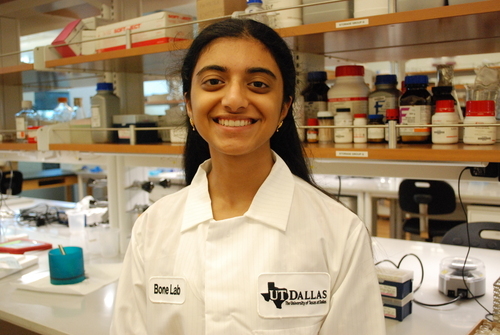 My name is Shruti Natarajan and I began to work under Dr. Rodrigues' lab as a Clark Scholar in Summer 2016. 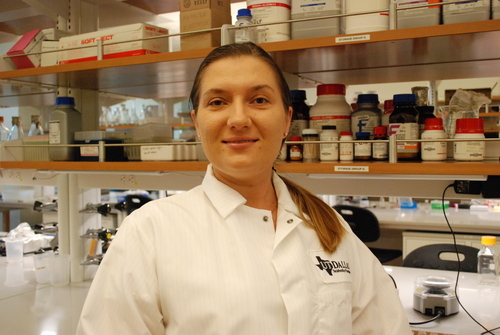 I began working with growing cell culture on titanium plates and observing cellular responses. Currently, I am a biology major at UTD. I love to play piano, and travel around the world. I also work as a lifeguard and am an active American Red Cross volunteer. In the future, I hope to go to dental school and pursue a DDS. I am excited to do more dental research under Dr. Rodrigues in these upcoming years! Hello! My name is Frederick Wang and I am an incoming freshman to UTD. 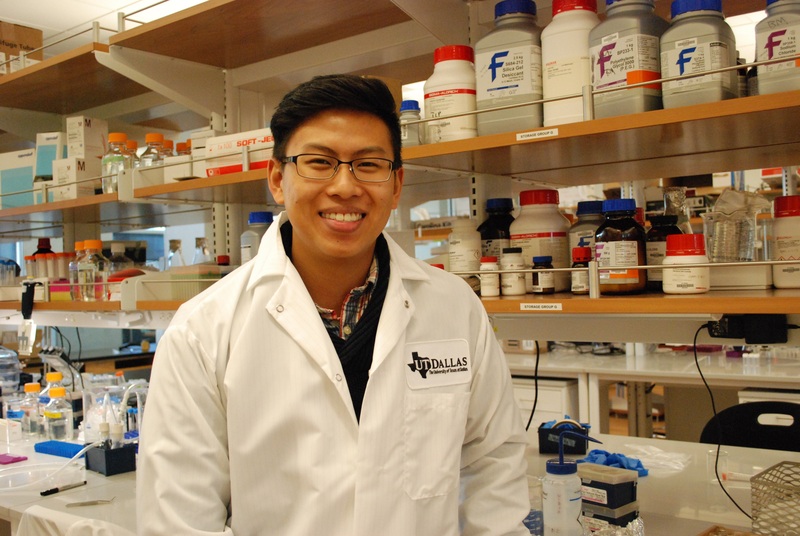 I graduated from Plano West Senior High School, and I was accepted into the Clark Summer Research Program; I was placed into Dr. Rodrigues’ lab. I’m currently learning about and helping out with understanding the electrochemistry nature of dental implants and its overall stability. I’m majoring in Biomedical Engineering in the fall and I am super excited! Hey! My name is Joel Jacob and I am a sophomore Biology major. I joined Dr. Rodrigues’ lab in Spring 2017. I began working on imaging of failed zirconia implants, particularly focused on their mechanical failure. I am currently working on studying the effects of surface treatment and substrate material on cellular adhesion. I love spending my free time helping with InterVarsity Christian Fellowship, tutoring, and volunteering at a local hospice. In the future, I hope to pursue a career in medicine as a physician. I look forward to continuing to grow in the BONE lab. “Hello! 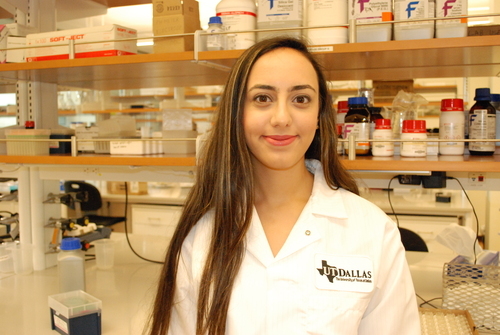 My name is Lidia Guida and I am a senior at UT Dallas Biomedical Engineering Program. I became a member of Dr. Rodriguez’ team in May 2017 and focused my work on electrochemical properties of titanium surfaces, effects of corroded surfaces on cellular adhesion and proliferation, and surface imaging techniques. Currently, I am working on investigating effects of multifunctional ionic liquid coatings on dental implant surfaces. In the future, I plan to obtain MS in Biomedical Engineering and continue exploring biomaterial surface modifications, corrosive behavior of dental implants and causes of peri-implant disease. Hey! My name is Alikhan Fidai and I am transferring into UTD for Biomedical Engineering this fall. 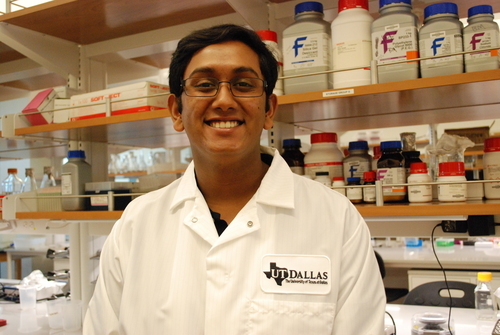 I was placed in Dr. Rodrigues' lab as part of the LSAMP research fellowship. I am currently studying bacterial adhesion on biomaterials used for dental implants. I love spending my free time volunteering as a camp counselor and content facilitator for a number of programs aimed towards positive youth development. I am really looking forward to expanding my knowledge base through research under Dr. Rodrigues. "Hello! 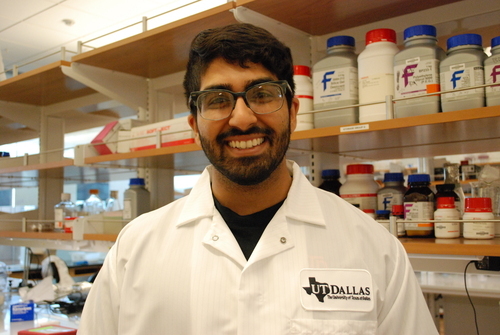 My name is Shaida Parsaei, and I am majoring in Biology at UT Dallas. I joined the BONE Lab in the summer of 2017 under guidance of Dr. Rodrigues. I am currently working on evaluating interactions between dental cements and oral bacteria, as well as, evaluating long-term biocompatibility of tissue forming cells that are in direct contact with dental cements. I am very excited to be a part of the lab since it is aligned with my interest in dental research and development and prepares me as a future dentist. Outside of the lab, I enjoy playing the piano. I serve on the Student Leadership Advisory Board, and I am a First Year Leader and mentor for freshmen."